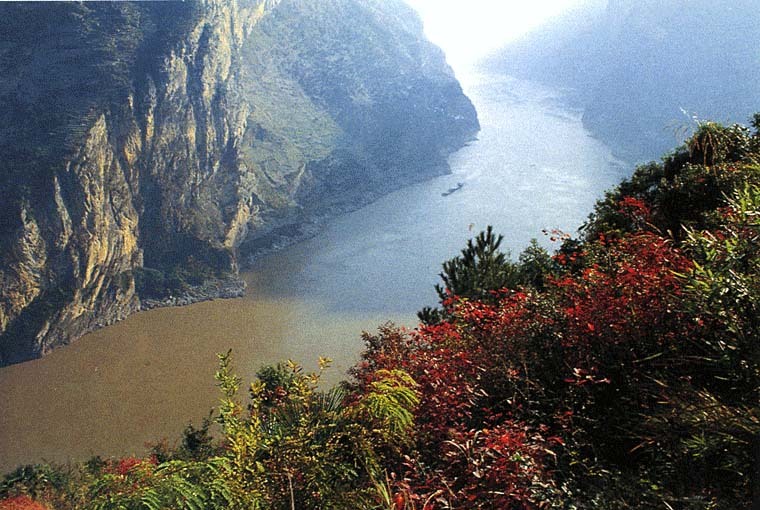 Xiling Gorge, zigzagging about 49 miles, is the longest gorge among the three gorges of the Yangtze River. Scenery along the Xiling Gorge is spectacular. Some renowned streams, springs, stones and karst caves can be found along this section. As many historic celebrities such as Qu Yuan and Bai Juyi have been here and left numerous poems praising the natural scene of Xiling Gorge, it is bestowed with a great sense of history.